The three week long programme which was opened to Secondary, Primary and Private Music Schools across the country, took place at the Department of Creative and Festival Arts, University of the West Indies, St. Augustine. The students were exposed to the fundamentals of reading and writing music. Delivering the remarks on behalf of the Bank, General Manager, Internal Audit, Anthony Subero, challenged the young pannist to build on the legacy left by this country’s past and present pan pioneers, while using their talents and abilities on the pan to awaken and grow their minds. “Young pannists, every time you hold those pan sticks and produce that beautiful sound, you are not just entertaining the listener, you are in fact, awakening and growing your minds. 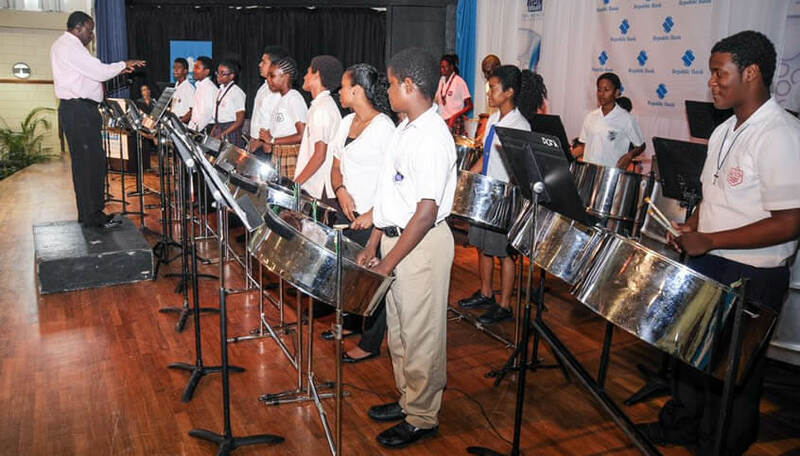 This would be a nation of highly functioning creative intellectuals, collectively moving our country towards a brighter future, through its birthright- the steelpan,” Suber said. The students performed pieces such as; “Ben” by Michael Jackson, “Natural Mystic” by Bob Marley and “Yellow Bird” (a folk song) arranged by Gay Magnus of Jamaica. 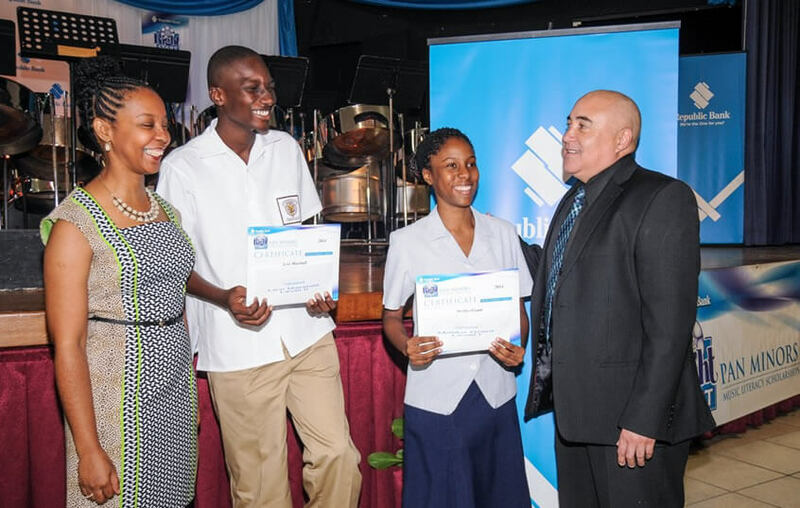 Programme Cordinator, Michelle Amoroso who shared statistics on the programme said, “The programme continues to grow by leaps and bounds as over 157 students registered for the programme.” She congratulated Republic Bank for its investment in the lives of the nation’s youth. St. Joseph Convent, Port-of-Spain student, Malika Grant was awarded top performer in the Level I category having received 97.9%. While Levi Marshall of St. Anthony’s College excelled in Level II with 95%. The students all ranged from 10-17 years old. The programme’s format enabled the students to have 30 hours of formal training. Fifteen hours was spent in music theory integrated with aural training and 15 hours devoted to music reading, writing and technical skills. Feature speaker and past participant of the programme, Devon James, serenaded the audience with his rendition of John Legend’s “All of you”, much to everyone’s delight. On August 5, the Tobago leg of the graduation will be held, with 42 students graduating from the programme. Republic Bank congratulates all the young graduates and encourages them to continue building their talents.